Believe it or not but over four hundred Telugu movies have been shot here, in the Sri Seeta Ramachandra Swamy Temple in Ammapalli. For there is a sentiment among the Tollywood fraternity that a movie with even one scene shot here at this temple, will surely have a successful run at the box office and for a hundred days at the least. And, if there was one movie that would immediately bring to mind this beautiful temple it is the 2001 blockbuster ‘Murari’. That very movie, which launched actor Mahesh Babu’s career towards superstardom. Spread over an area of over two hundred and fifty acres, tree-lined roads, manicured lawns and clearly sectioned off sandy areas lead you from the archway to the wide parking ground and the main Sri Seeta Ramachandra Swamy Temple. Smaller temples dedicated to Shiva and Hanuman, a couple of mandapams and abandoned looking structures and a beautiful step-well hidden in a grove of coconut trees add atmosphere to this ancient temple. 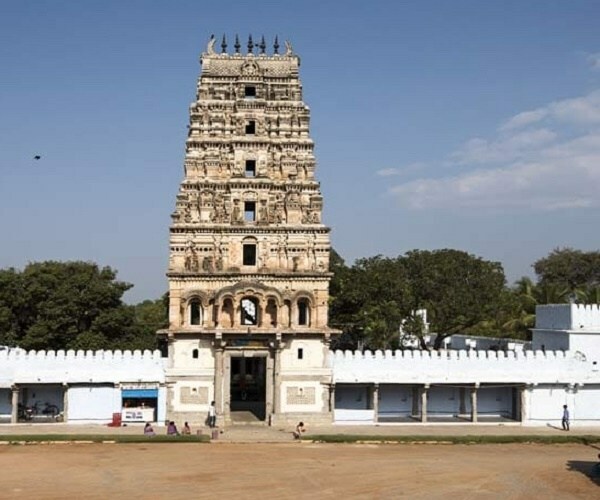 Built sometime in the 11th century by the Eastern Chalukyas, the Ammapalli Temple like most of the prominent temples dedicated to Ram in our country marks the spot where he once stopped to rest during his journey into the historic-mythical Dandkaaranyam. Sri Rama Navami is celebrated in a big way here and the Seetarama Kalyanam is attended by thousands of people annually. As you walk along the grounds, it becomes evident that the Kalyanam has been an age-old tradition of the temple. For most of the structures on the grounds outside the main temple complex – the two-storeyed Kalyana Mandapam, an Edurukolla Mandapam and a Nagaar Khana even, for the musicians to play wedding tunes from – are built to serve but this one purpose. The most striking feature of this thousand-year temple, though, remains the ninety feet Gali Gopuram. Beautiful not just in its architectural detail, but also in the colourfully contrasting idol of Seshashayee Vishnu carved into the brown tower. There is also the bright white ‘prahari’ or the boundary wall, which doubles up as a two-storeyed corridor with benches on the upper level built into it. To serve as a viewing gallery undoubtedly for the wedding guests. 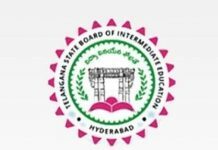 Why TRS Senior MLA ‘Harish Rao’ Restricted As ‘Village Leader’?